BUILDER CLOSEOUT - ONLY 9 LOTS REMAIN. BUILD YOUR NEW HOME IN THIS BEAUTIFUL HOMEARAMA COMMUNITY. TRADITIONAL 2 STORY DESIGN WITH FORMAL LIVING ROOM/DINING ROOM & FAMILY ROOM. KITCHEN HAS BREAKFAST AREA & WORKING ISLAND. BEDROOM ON 1ST FLOOR WITH ACCESS TO FULL BATH. BLOWN OUT MASTER SUITE - LIVES HUGE! ALL UPSTAIRS BRS HAVE WALK IN CLOSETS. ONE OF OUR BEST SELLING PLANS! Ready to visit 6144 MM DARSHAM-PITCHKETTLE FARM? Request a free property tour! 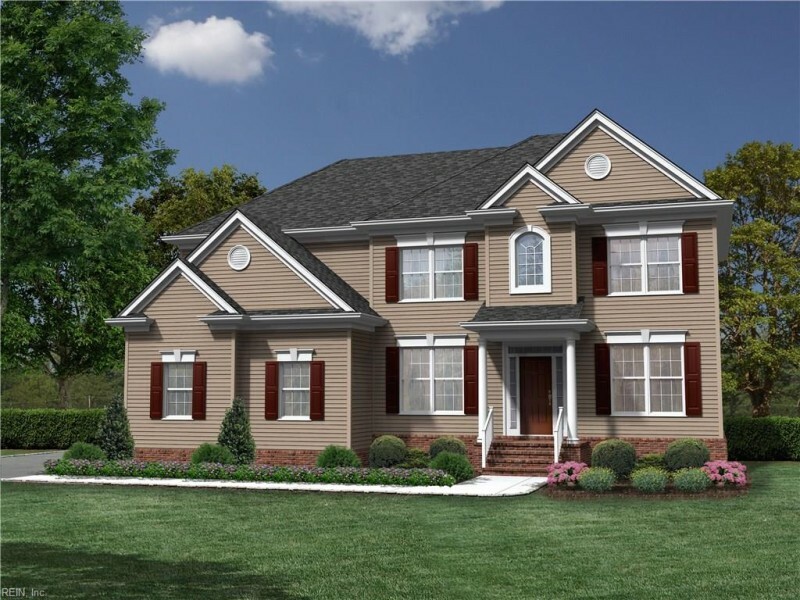 Send me more information about the listing at 6144 MM DARSHAM-PITCHKETTLE FARM, Suffolk, VA 23434, MLS# 10169821. This 5 bedroom, 3 bathroom home located at 6144 MM DARSHAM-PITCHKETTLE FARM, Suffolk, VA 23434 has approximately 2,848 square feet. It is currently listed for $429,900 and has a price per sqft of $15,095. This home is currently Active under the MLS#: 10169821. This listing is provided by Rose & Womble Realty Company. 6144 MM DARSHAM-PITCHKETTLE FARM Lane, Suffolk was built in 2018. It has Garage Att 2 Car, 2 Space, Off Street parking.The kitchen includes Dishwasher, Disposal, Dryer Hookup, Microwave, Elec Range, Washer Hookup. 6144 MM DARSHAM-PITCHKETTLE FARM is part of the Pitchkettle Farms neighborhood located in 23434.